If you’ve got plans in Berlin tonight, then change them, because Justice is playing a surprise a gig. And Boys Noize and Daniel Wang are playing, too. Oh, and it’s FREE! The Alakazam party kicks off at Chalet in Kreuzberg at 20:00, so we suggest you get there early to ensure entry, as tickets are first-come, first serve. However, you can guarantee your spot in the club by entering to win tickets on our Facebook—but again, act fast! 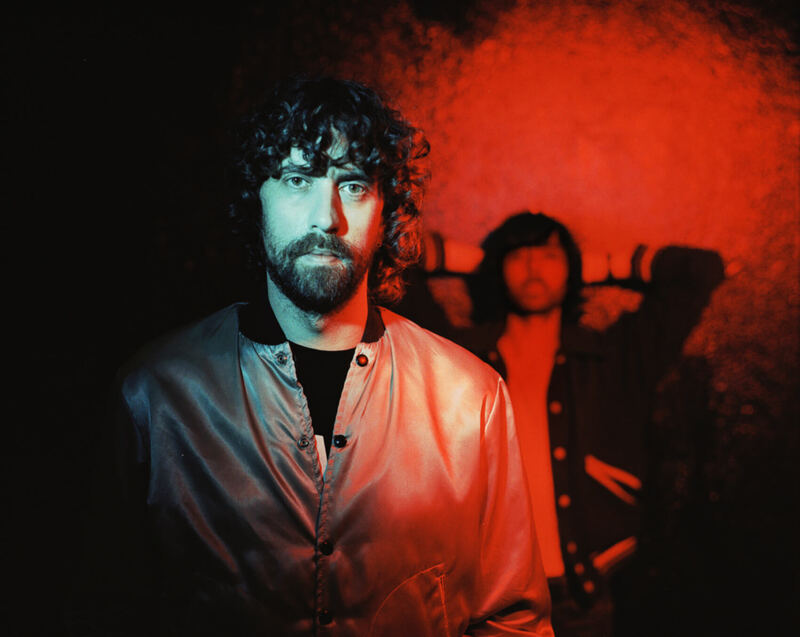 Once you’ve scrambled to sort your entry into tonight’s gig, you can take a moment to catch up with Justice co-pilot Xavier de Rosnay via the interview below. We snagged some time with him to ask about his working relationship with Gaspard Augé and the title of the forthcoming LP, Woman, which is due out on Ed Banger Records and Because Music in November. You can hear a song from the record here. Why did you call your new album Woman? “Woman” is a powerful word with a powerful meaning. All life comes from women. The Roman goddess of justice is a woman, so that’s a connection, too. Additionally, the record is intended to be a homage to all the women in our lives. Women in general evoke strong feelings. What’s your relationship like in the studio when producing an album? We started working on the album in January 2015. It took us quite some time, but whenever we go to the studio and start working on new material, we do it like hardworking men. In fact, we didn’t do much else besides work for a year and a half—just the two of us in the studio. We live very close to each other in northern Paris. It always starts with writing songs in a traditional way with piano or guitar and bass, and once we have something that we think works well, we start producing the track. We’re quite in line most of the time, but that doesn’t mean we don’t push each other to make things even better. We want the same things—sometimes it just needs time to figure out what those things are. If, for instance, Gaspard comes up with an idea that we both think is quite good, that doesn’t mean it stays like that. It’s a constant trial-and-error system. You said that your last album, Audio, Video, Disco, is a “daylight album.” How would you characterize Woman? Woman certainly is kind of a solar record, too, and most of its tracks are intended as music to share with your friends. The first time we listened to it outside the studio was in a car when we were driving from Los Angeles to Palm Springs. That’s when we realized how good it works as a whole. But to fully characterize the record in one word right now is very hard to say. We will see how it develops. You’ve played a lot of headline shows for world-famous festivals. Which stood out and which festival would you love to play with your new album? There are certainly a lot of amazing festivals around the world, and more often than not, the most interesting ones are those you wouldn’t except to be so special. I don’t feel like dropping names now, but generally I can say that we feel more comfortable playing rock festivals than dance and techno events. Electronic music festivals tend to be more difficult for us, because what we play isn’t always in line with the expectations of those crowds. Over the last few years, Paris has re-established itself as one of the prime destinations for electronic dance music. Are you in touch with your home town’s scene? Actually, we’ve never been in close touch with the local Paris scene; it’s just not where we come from. We weren’t out in clubs and didn’t check what was happening, and in fact, that’s still not the case. We know that there are a lot of new things happening in Paris and that there’s big international interest, but we’re just not connected with that. I have to say, though, that I feel quite happy about Paris’ new role as major hotspot for electronic music. Tonight Justice will do a surprise DJ set at Berlin’s Chalet club. How do you approach playing in a smaller club like this? We wanted a small venue for the show tonight to keep things intimate. We’ve never been to Chalet before, but it seems like a perfect choice. To be honest, when we play small venues like this one, we don’t change a lot in our general approach, because even if we DJ at the big houses, we don’t necessarily play what I would call “big room stuff” all the time. We dig the obscure and difficult tunes just as much. What can we expect from this intimate gig? We’ll probably just play a bit of everything, then we’ll see what’s going to work. For us it’s important to challenge the crowd to a degree that it’s more fun for everybody. Justice will play tonight, October 18, 2016 at Chalet club in Berlin with Boys Noize and Daniel Wang. Doors open at 20:00.